Saruul, a soccer fan, accidentally hit a girl during a rival fans brawl. Instead of going to jail, he agrees to the girls’ proposal of being a caretaker for a mean old man for a month. In the middle of breath-taking landscapes in Central Asia, children fill a whole world with their wishes and their dreams. 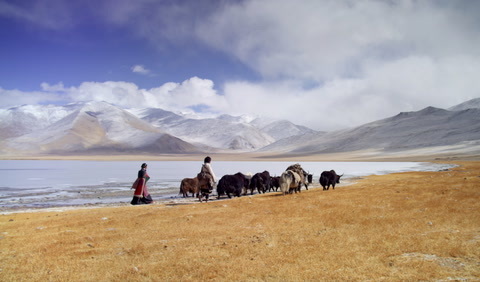 Amraa, the Mongolian herder; Apo, the Siberian baby; and Lhamo, the young Tibetan girl, all share the same destiny: like their own people, they arrive at major cross- roads in their lives, when they are confronted by love, danger and death. When a member of book club is suspended from school for something he didn't do, other help to solve the mystery and to find out it was actually one they all trusted the most. 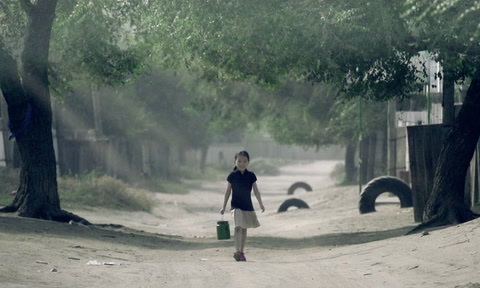 Az is a 7-year old girl in a small village expecting a baby sister. Tragically, her mother dies during childbirth and her father unravels due to the loss of his wife. With nowhere else to turn, it's up to Az to show strength and care for the whole family. Two schools were to put together into one, due to a budget cut. New students who came to different school had to face a difficult time to adapt, especially against the bullies who ruled the school. The endless turf war starts betweeen students to see who can really run the school. 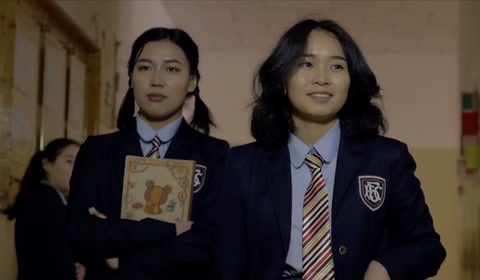 A member of once very popular 90’s band in Mongolia wants to put the group back together after 20 years, when the members run into each other during high school reunion. Aldar spends the night with the wrong woman and lands himself in jail for a crime he didn't commit. As he fends for his life on the inside, he gains the respect of a mob boss that vows to help him clear his name and seek revenge. Sodura is a girl of Taiga and relocated in the big city. She finds herself unable to adapt to the city lifestyle and returns to her home in Taiga, heartbroken. Her tribe blames her coming home pragnent with outsider's child. The only person understood her pain was Ak-Od. Sodura falls in love with him, but he was engaged and married by his fathers will. A wild fire breaks out in Taiga and the tridesmen discovers illigal pouchers, while taking out the fire. Pouchers have killed the very last moose of the Taiga. Ak-Od was accused of aiding the pouchers, but gets killed while trying to proove his innocense. Sodura gives a birth with the assist of tirbe's shaman and she reveales that Sodura was not originally from Taiga and she should be the one to go on envoy to preserve the life of Taiga. Group of friends needed an entry fee to get into a football match. After a huge struggles they finally get enough money to be in the tournament, but they loose it all by accident. Now it is up to them to earn that money as soon as possible. The youngest son of Badam, a nomad family raising horses in plains of Mongolia, comes back home. He was adopted to his uncle but his uncle passed away. The boy Galt was in deep sorrow but soon had his heart stolen by an yellow colt. Can a young horse save a family suffering from a tragic loss and reunite them? A woman rescues two injured soldiers after a battle. As they recover, they discover their allegiances are not aligned and the enemies plot to kill one another. Norjmaa must try to alleviate the conflict, despite none of them speaking the same language. The ultimate love triangle. The story takes place in both past and present times. People loved each other, or expressed their affections not so differently in any era. Genghis Khan strugtured his army into decimal system of 10, 100, 1000 and 10000's and each unit's appointed leader reports to the larger unit leader and the report gets to the nine most trusted generals og Genghis Khan. It is an untold story of one of those units, ten soldiers of Genghis Khan. Tsahir a leader of ten, gets a direct order Genghis Khan bring an old master healer to the safety from a secluded location. On the journey, they find an abondened baby and rescue him. Later Tsahir and his soldiers find themselves face to face with the enemy soldiers who where tracking the lost baby. Tsahir and his ten soldiers will have to make a decision to save themselves, save the master healer or save the enemy child. The story of Tsetsenhanrui is based on a true events. Tsetsenhanrui is a direct decendent and the very last royal blood of the Great Chinggis Khan. Tsetsenhanrui's life as a royal blood in 20th Century China was not easy and she had to face the poverty after her home was robbed and father was killed. Her childhood friend grows out to be a handsome young man, but he chose the life of monk-hood. But they fall in love and he decides to give up his monk-hood and was sent to war and gets kiiled. Tsetsenhanrui was married off to a man, she did not know. Later, during a revolution Tsetsenhangui was convicted of false charges and serves the community, but after a long unhuman treating of officials, she looses her mind. Her husband stays with her till the old age and one day she regains her self and realizes that how much she loves her husband, whom she never loved before. Great selection of Mongolian films with unique story telling and high production value.